A few weeks ago I was lucky enough to win a Twitter competition from Seventeen and today I picked up my prize from the post office! I received 5 full sized limited edition polishes and these couldn't come at a better time, I find glitter polishes so festive! I do have a love hate relationship with glitter polishes, love wearing it.....hate taking it off but the old tin foil trick works a treat, even if it can be a pain looking like Edward Scissor hands while your waiting for the polish to loosen. 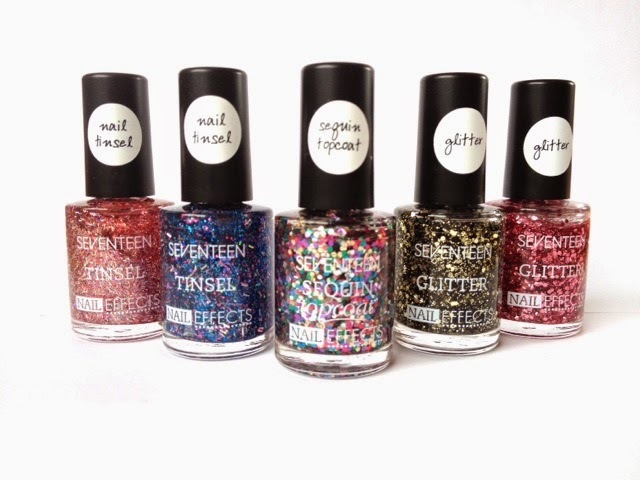 These are new to the Seventeen range and are in Boots stores now! 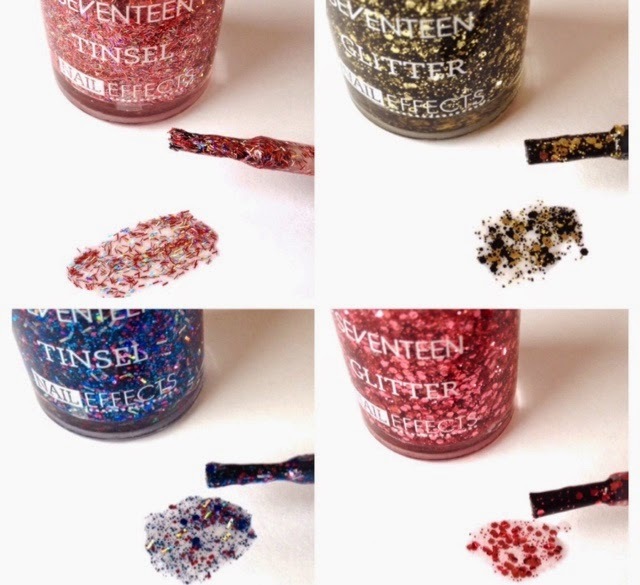 There is new top coats and polishes called Tinsel, Sequin and Glitter which come in different colours and patterns. I was sent a great selection and the polishes are jam packed with glitter in all shapes and sizes! They are £3.99 each and as you all know, Boots very often do 3 for 2 on cosmetics. These pictures do not do them justice! The top left which is a pink Tinsel effect polish is my favourite, it shimmers in so many different colours! 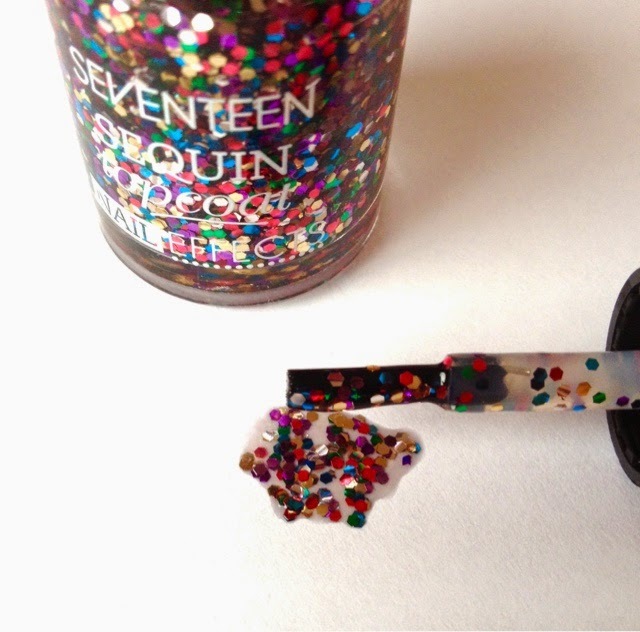 This Sequin top coat is absolutely brilliant too as the glitter is really chunky and, as with all of them, it's packed with it! This would look amazing on a dark background! Have you seen any of these polishes in Boots stores yet? I've not used this brand for years although I do love glitter polishes (who doesn't). I may check these out as they're so pretty. You lucky lady! 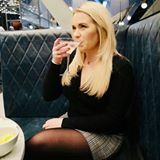 These are fab! Ohhh these look lovely very festive! I have something similar to the gold and black and love it! These are very pretty polishes!